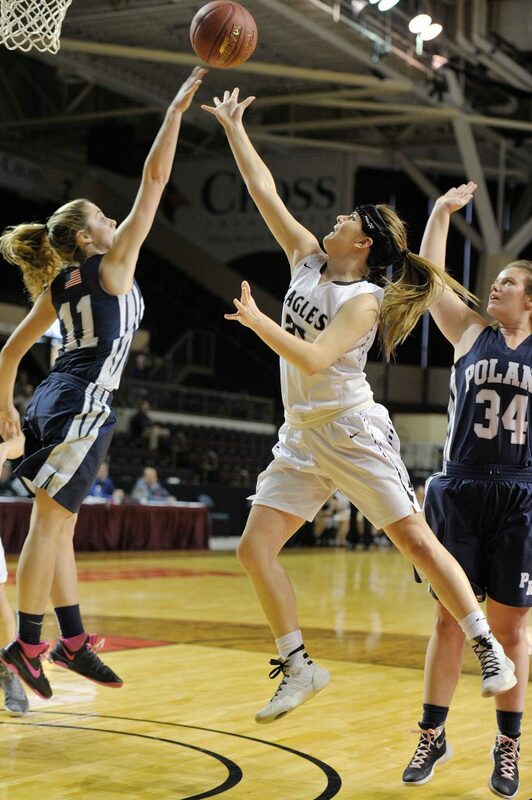 Brie Wajer scores 24 points – including her 1,000th career point – to lead the Eagles past Poland, 62-52. 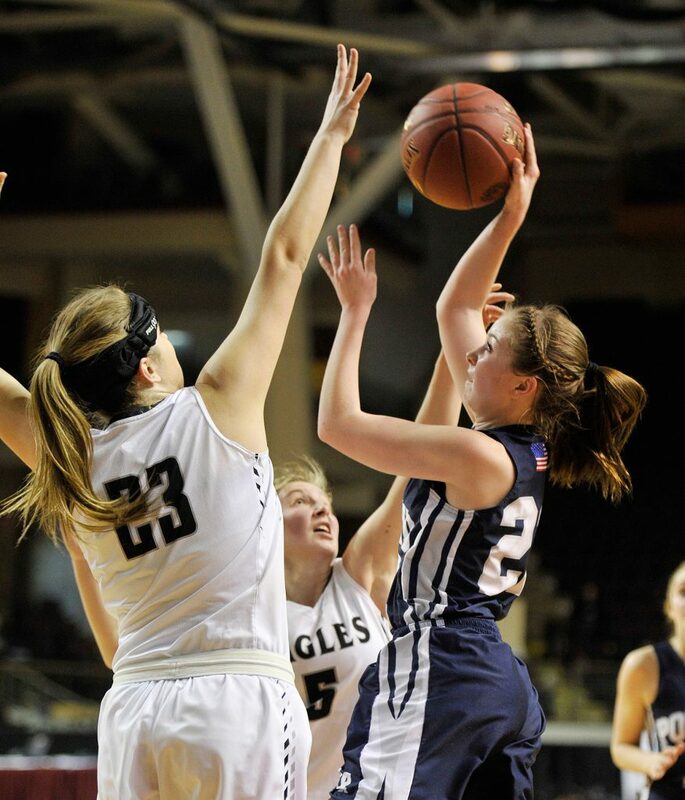 Brie Wajer sparked the Lincoln Academy girls’ basketball team to a berth in the Class B South final for the second straight year – and did so while scoring her 1,000th career point Thursday. Wajer scored 24 points and pulled down six rebounds for the Eagles in a 62-52 semifinal victory over Poland at Cross Insurance Arena. No. 6 Lincoln Academy (15-5) will play top-seeded Gray-New Gloucester for the regional title at 1 p.m. Saturday at CIA. No. 7 Poland, which upset second-seeded Wells in the quarterfinals, ended its season at 12-8. 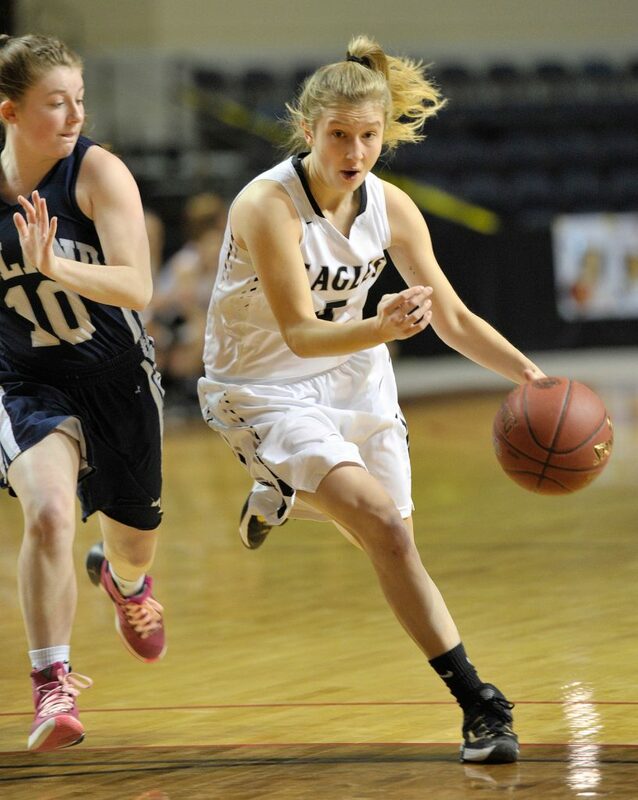 Nathalie Theriault led the Knights with 18 points and Sarah Moody scored 13. Despite trailing by double-digits several times, Poland always found a way to climb back into the game. 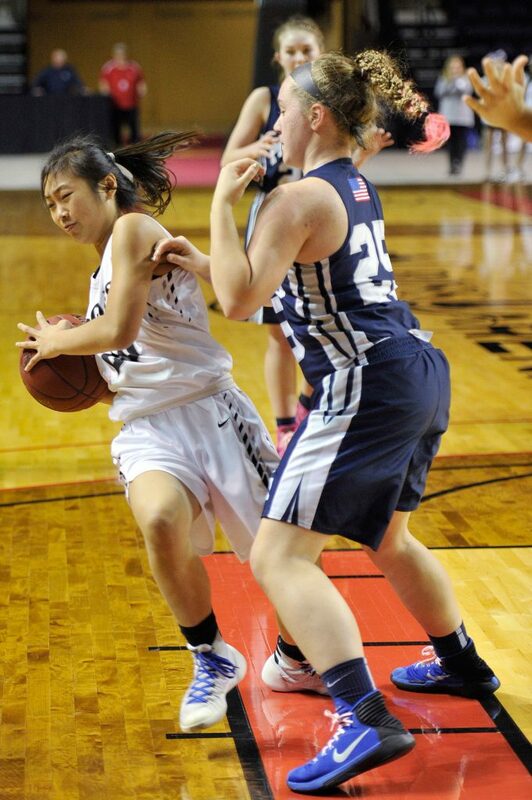 Theriault, a junior guard, opened the game with a steal, which she turned into a three-point play. While charging the basket, Theriault collided with Lincoln Academy’s Dorothy Hodous, who was taken to the hospital after a hard fall. Seven minutes later, the Eagles lost Kaitlyn Feltis to a knee injury for the remainder of the game. Theriault continued her quick start, scoring eight points in the first three minutes. Moody, a junior guard, added another basket from behind the arc for the Knights’ biggest lead of the game at 11-4 with 4:30 left in the first quarter. 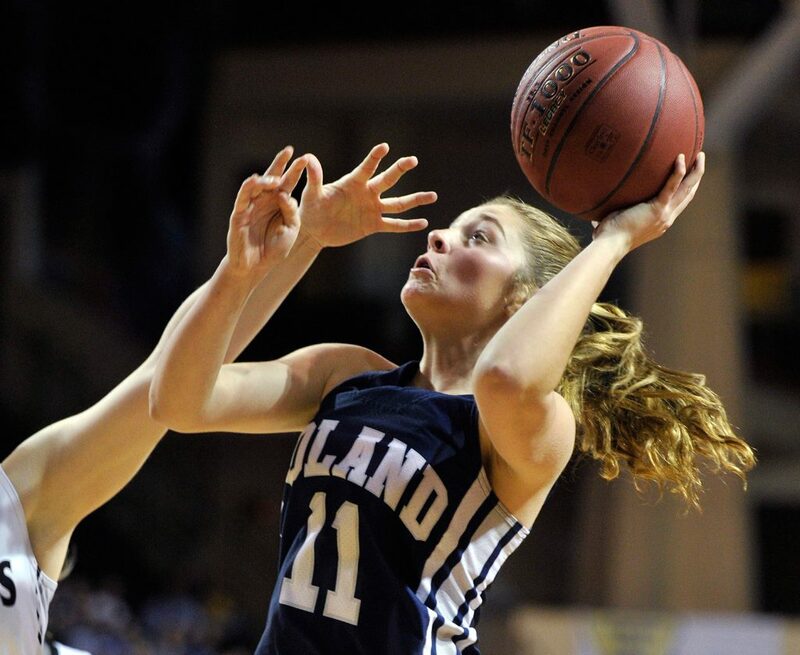 But Poland got into foul trouble early – committing 11 fouls in the first quarter – and had to sit starters Theriault, Jessica Seeley and Morgan Brousseau for much of the first half. 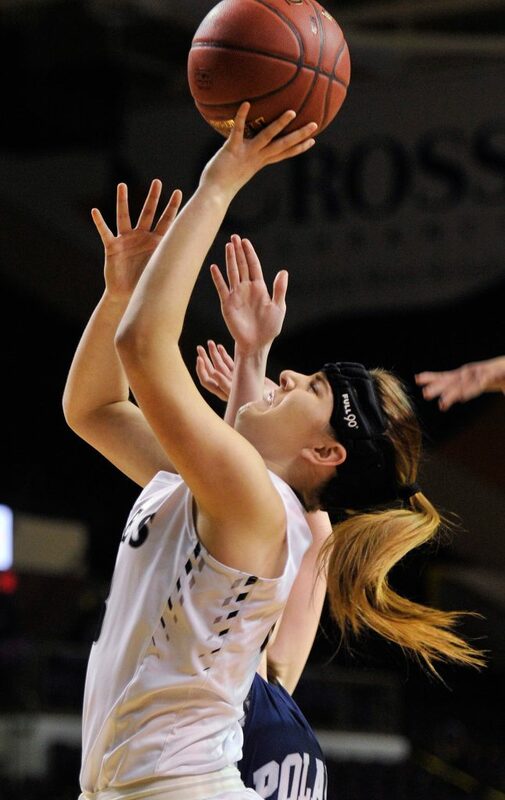 Cagney O’Brien, who scored 14 points, kicked off a 14-point run for Lincoln that would last into the second quarter. Wajer scored nine points in the first quarter to help the Eagles end the quarter ahead 14-11. Moody ended the Knights’ scoring drought with a 3-pointer that cut Lincoln’s lead to 18-14. But the Eagles then scored another 10 consecutive points that increased their lead to 28-14 with 3:00 remaining in the half. Freshman Eleanor Mathews hit a 3 at the buzzer for Lincoln, which entered halftime up 35-23. Halfway through the third quarter, Wajer drove into traffic and threw up a shot. The ball bounced off the backboard and through the net for a 41-32 lead, triggering wild cheers from spectators. The game was paused to recognize Wajer’s 1,000-point milestone. “I said to her, ‘Nice job getting to 1,000, let’s go get the win,'” said Lincoln Coach Kevin Feltis. The Knights stuck with the Eagles in the second half, outscoring them 14-11 in the third quarter to enter the final eight minutes down just 46-37. A Moody 3-pointer to start the fourth cut Lincoln’s lead to 46-40. It was the closest the Knights would get to closing the gap.